Michael Fridjhon: Cab vs Shiraz – which will prevail? What wine is most likely to be in this glass? I arrived recently at what turned out to be a BYO restaurant (there are still a few about) located quite close to an Ultra Liquors suburban store, so I went to the off-licence to find something suitable. There was a pretty impressive selection – so choosing was actually more difficult than I imagined it would be. I was however struck by how few – in relative terms – Cabernets there were, especially once I saw the size of the Shiraz section. 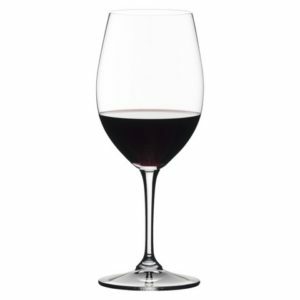 Instinctively I would have gone for Cabernet – it’s what I felt like – but with the greater Shiraz choice I was able to find something suitable, accessible and reasonably priced more easily. This set me thinking about a number of things. Ultra is a successful operator, so presumably the number of facings reflects in some way the ratio of demand. In that store at least, the customers must be more inclined to buy shiraz than cabernet. I don’t think this is national trend, and it’s way off being an international one. Shiraz was over-planted almost everywhere over a ten year period from the mid-1990s and in some markets the fruit (and the wine) is considered virtually unsaleable. If I had been in California, or Chile, or even in the UK, the Cabernet section would certainly have offered greater choice than shiraz/syrah, a reflection of the preferences in those markets. It’s hardly surprising that life for shiraz producers hasn’t been as easy as they imagined it would be while they were in the midst of their planting frenzy. Its performance is more site-specific than most people realise, and while you can conceal the shortcomings of the fruit if you elect to botox up the wine with dollops of American oak, this assumes that the market still wants to drink the Southeastern Australian style whose popularity began to wane just as the growers were getting their stokkies into the ground. In short, to be good, shiraz needs to be fine, and any clumsiness (whether because the vines were planted in the wrong place or because the winemaker didn’t manage the vinification and elevage with precision) significantly diminishes its charms. As a result, I don’t usually gravitate towards the shiraz page on wine lists. In mid-winter it’s fractionally easier to contemplate the bigger, gooier examples, but they wouldn’t be a first choice. In summer you need to find a wine which balances well on the knife edge of purity and restraint, without tipping into green and lean. Put another way (and I didn’t think I would ever be writing this), it’s actually easier to find good sauvignon blanc. So, if the outlet had stocked a better line-up of cabernets, would I have preferred to shop in that section of the shelves, and would I have done better? Here’s the curious thing: on paper the cabernet choice is a no-brainer. It’s a more forgiving variety, we have plenty of good, reasonably mature vineyards, mostly with clean clonal material, there are competent winemakers, established brands, how hard can it be to find a decent bottle? We all know the answer: not as easy as it sounds, and mostly the good wines attract a serious price premium. The percentage of truly enjoyable shirazes is pretty low, but when you find them, they’re generally not all that expensive. There’s a vastly higher hit rate with cabernet, but the good ones tend to be pricey, and they certainly need significantly more bottle age. This has interesting implications in terms of South Africa’s export image. We’re not seen as a high-price producer (years of currency devaluations and a history of bulk sales have taken their toll). This means – insofar as cabernet is concerned – that some prudence is required if we’re going to have to position them in a price bracket significantly above the centre of gravity of the country’s image in world markets. On the other hand, if we make shiraz a Brand SA statement variety, we would be committing ourselves to what is generally seen (at least in broad international terms) to be a bit of a dog. For my money, cabernet can more easily justify the risk: we offer better quality, and certainly better value (especially given exchange rates) than the long established regions, and there’s no doubt punters want to drink it. Since shiraz will limp along anyway, and the weak Rand will keep it profitable, let’s not turn cringe into a self-fulfilling prophesy. We’ve been making world-class cabernet for generations – it’s time we learnt to share them – unapologetically – with the world.